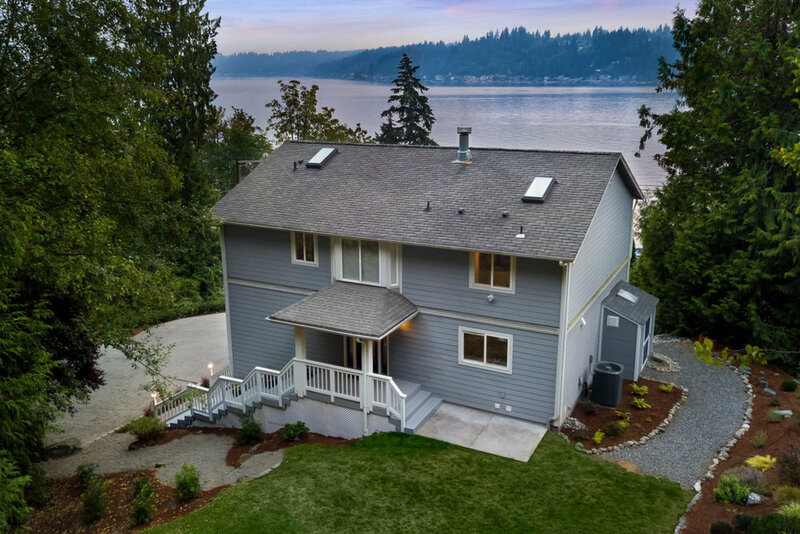 This airy Lake Sammamish residence offers over 2,600 sq ft of light-filled living space with 3br/3ba on 3 levels of freshly updated space. Over sized windows and balconies capture incredible lake views, while a private 1.23 acre yard provides gardening and relaxation space with a fire pit. Uphill acreage includes personal trail which will connect with Sammamish Park Trail System when completed. Gorgeous gourmet kitchen and spa-like baths compliment a great room with vaulted ceilings and opulent master suite. Across the street access to Lake Sammamish parks and Trail. 4-car tandem garage make this ideal for active lifestyles! This elegant Lake Sammamish residence occupies a spectacular 1.23 acre lot directly across from the lake, allowing it to capture dazzling views from virtually every room, while providing exceptional water and trail access. It is screened from the street by layers of mature landscaping that lend the property a tremendous sense of privacy and autonomy, and parking and garden areas are defined by the gentle drive that leads up from the Parkway. Despite its formally classic exterior, the home’s interior is awash in natural light, afforded by numerous skylights, oversized windows and vaulted ceilings that lend the whole place an airy and contemporary sense of volume and ease. The house boasts 2630 square feet of living space, that is organized over three levels, and includes three bedrooms and three baths. It is entered from behind its primary street façade to allow for a dramatic outlook over Lake Sammamish from each of its main floor public spaces. An expansive entry foyer leads directly into the central great room with two banks of windows framing views of the lake and sky. To the right, is a spacious dining room that is open to a recently remodeled gourmet kitchen with an island and eating bar, while to the left of the entry can be found a home office and a full bath. Upstairs, two large bedrooms share a full bath and are connected to the opulent master suite by a dramatic bridgeway that looks over the great room. The lower level contains an extra deep two-car garage that can support tandem parking for four vehicles, storage and a dedicated laundry room. This gorgeous residence exudes a sun-drenched beachside sensibility in every detail, from its crisp white trim to its warm and welcoming color scheme and easy, open flow. 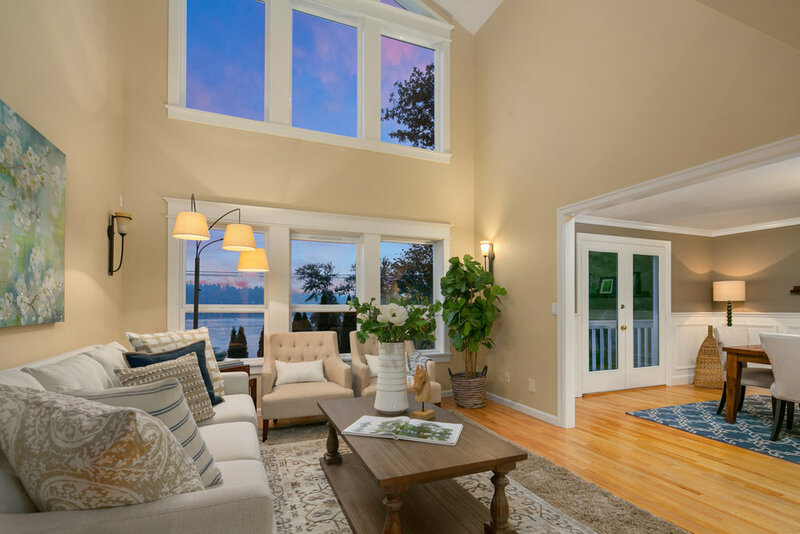 To walk in the front door is to immediately feel relaxed by the water views and natural light that define the home. The living room is an expansive area for casual relaxation or more formal entertaining, and it leads directly into a beautifully appointed dining room with French doors out to the balcony. 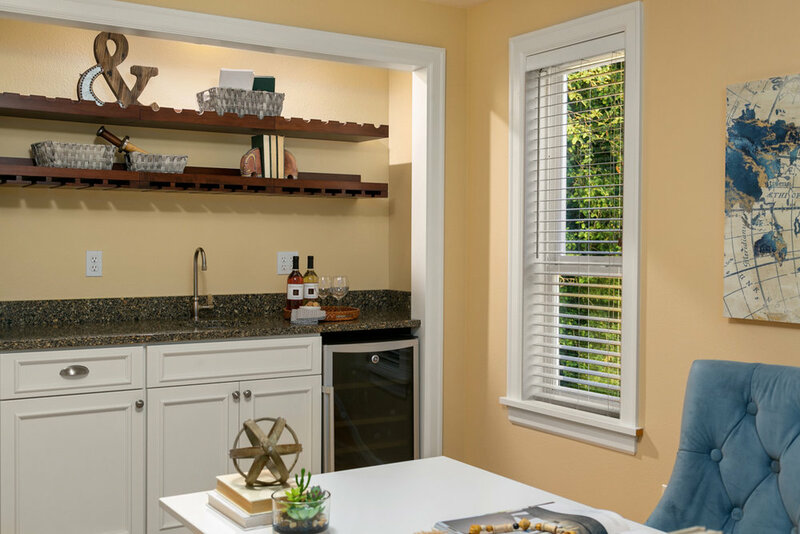 White wainscoting blends this room seamlessly into the recently remodeled kitchen with its white enameled cabinetry and intricate details, and oak hardwoods run throughout the main level. 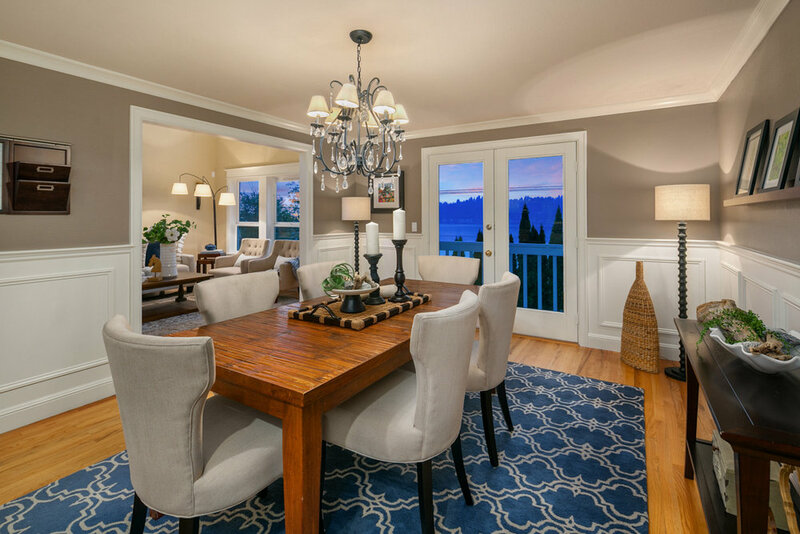 Whether used for formal entertaining, or as a family area for homework and snacks, this is a wonderful gathering space that functions as the heart of the home. The kitchen features beautifully crafted cabinetry that conveys a casual cottage aesthetic, with a custom hearth that surrounds the range and contains discreet ventilation. A central prep island with its own sink, quartz counters, a dining bar and a full suite of GE Profile appliances complete this high-performance cooking hub. A light-filled office occupies the front corner of the house, offering French doors out to a dedicated balcony and a built-in mini bar with a sink, beverage refrigerator and storage. 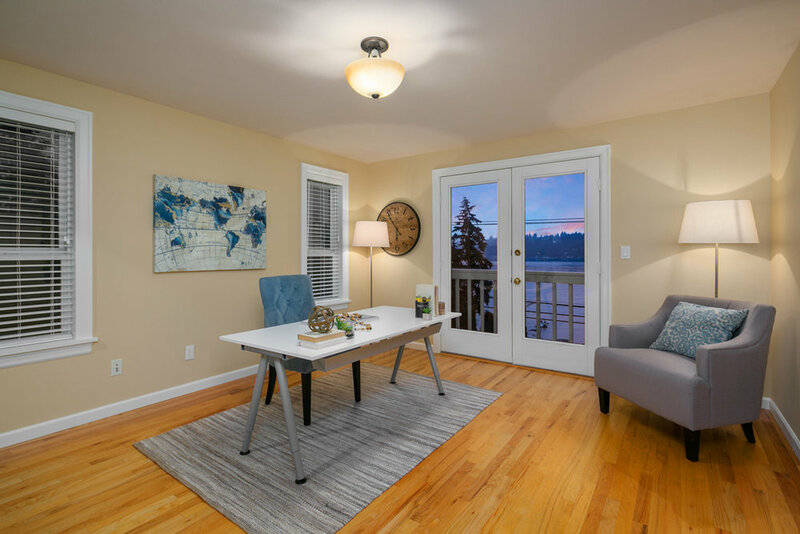 This is a peaceful and private workspace that is well isolated from the activity of the household, yet still offers dynamic outlooks over Lake Sammamish. A full bath with a deep soaking tub and custom vanity with Carrera marble counter completes the main floor. An open and airy staircase to the left side of the house is flooded with natural light from a large arched window as it leads up to the second level, opening onto two spacious bedrooms that share a full bath. 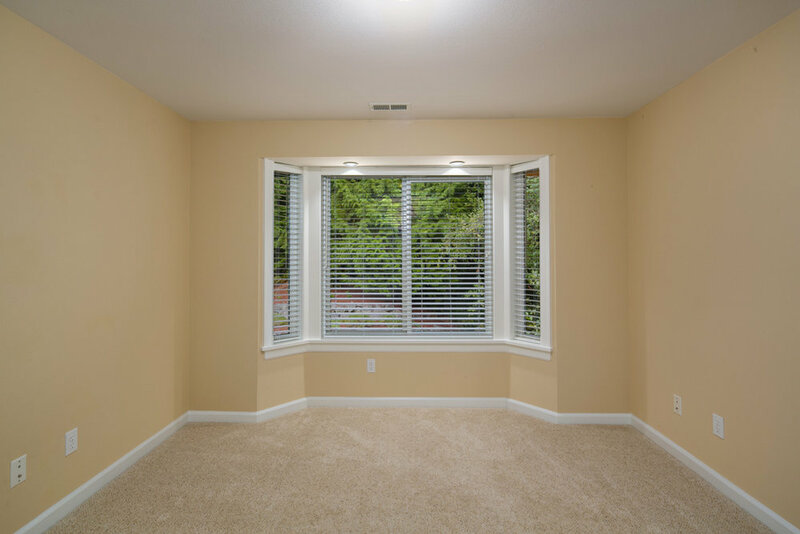 Both bedrooms offer tons of light from large view windows, one of which looks over the backyard gardens, while the other frames an outlook over Lake Sammamish. The bath is elegantly appointed with fresh tile surfaces, a deep soaking tub and a vessel sink. The lower level of the home includes an extra-deep, garage that opens into a convenient downstairs entry hall. A dedicated laundry room and additional storage space complete this floor of the house, and heating and central air conditioning is provide by an efficient heat pump. A dramatic bridgeway leads over the foyer and great room to the master suite, allowing stunning views of the lake through an over-sized, arched window. A pair of doors open into the master suite that occupies an entire wing of the house with a vaulted ceiling, and French door access to a private balcony that offers unobstructed views of Lake Sammamish. 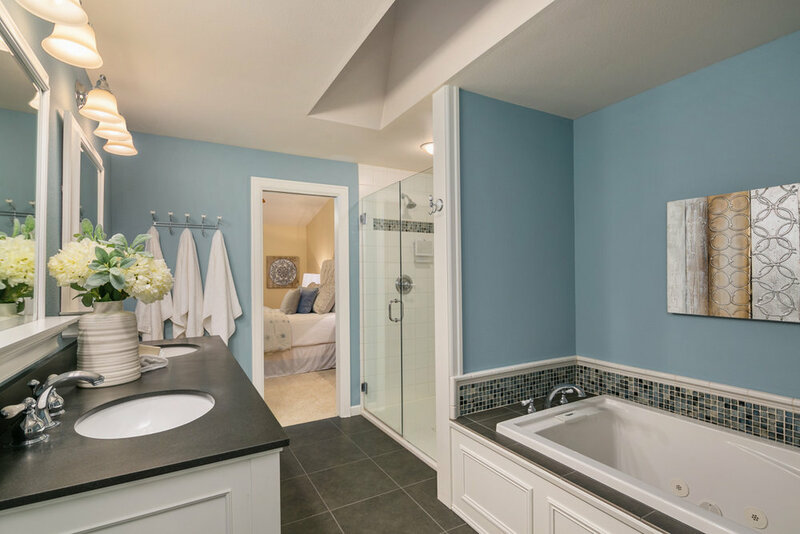 The master bath is a stunning, spa-like retreat that features a custom double sink vanity with granite counter, large-format tile, a jetted soaking tub, walk-in shower and private water closet, all illuminated by a dramatic skylight that floods the room with natural light. This residence offers an incredible setting for active living. 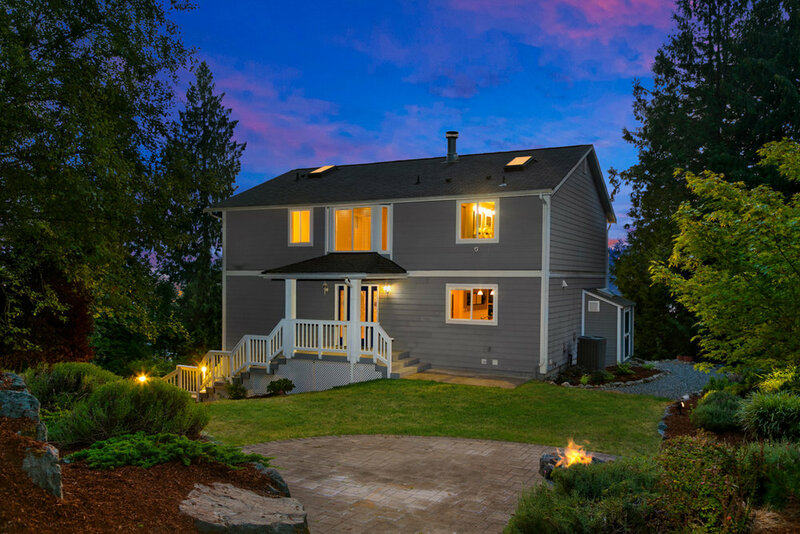 Its 1.23 acre lot is surrounded by mature native forest for privacy and a soothing connection with nature, while its location on a hillside ensures truly incredible views of Lake Sammamish across the street. These wide, unobstructed water outlooks make the property feel like lakefront without the associated cost and upkeep, and its proximity to the Sammamish Trail allows for easy year-round outdoor recreation. The backyard is terraced into the hillside, with mature trees creating a natural fence around it. A level lawn gives way to a paved patio with a built in fire pit for relaxing evening under the stars, and there are terraced gardens and parking areas in front of the house, as well. 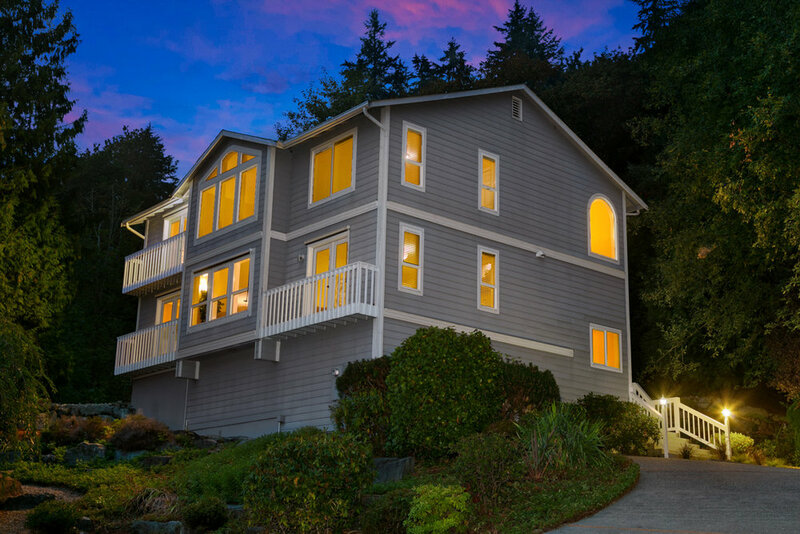 With a location right off of East Lake Sammamish Parkway, this singular home affords great access to the I-90 and 520 corridors for efficient transportation to Bellevue and Seattle, as well as close proximity to all of the amenities and award-winning schools of Issaquah and Redmond. It is an ideal location for anybody associated with the booming Eastside tech sector, and is convenient to SeaTac International Airport. 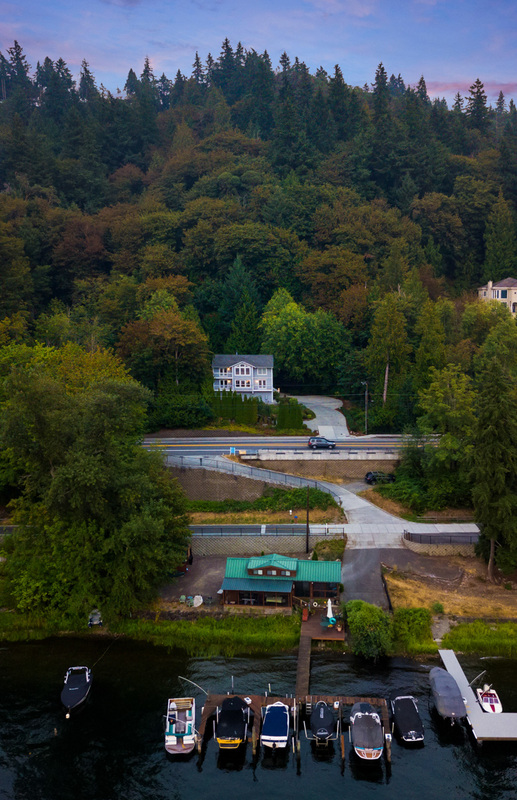 Across the street, residents have access to a boat slip, hydraulic boat lift and parking that allows for ready enjoyment of Lake Sammamish at a moment’s notice. This is the ultimate water-lover’s lifestyle, with views galore and the ability to go water skiing just steps from the front door. 2206 East Lake Sammamish Parkway is a lovingly maintained and freshly updated home that is absolutely turnkey in its presentation. It offers a delightful, lakeside lifestyle, stunning views and natural light, as well expansive indoor and outdoor space in which to enjoy an active life. This is the best of Sammamish living.